Stunning and Simple, no wonder it is a best seller. 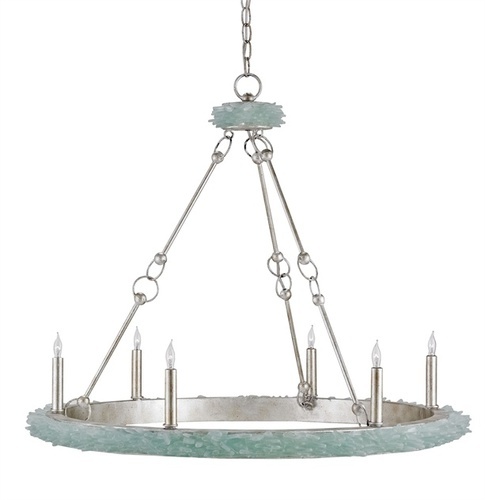 The Tidewater Coastal Chandelier is made from aqua seaglass, evoking the calm, placid waters of the Caribbean. A true masterpiece. Silver Granello finish along the crown-like frame adds luster and a warm glow. The thin wrought iron arms and accents add interest. It takes six 60 watt candelabra lights for a total of 360 watts.